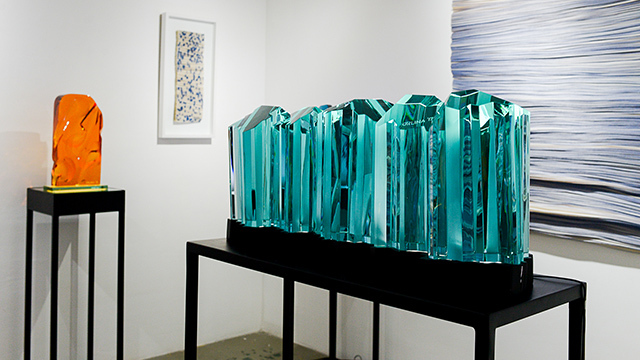 Art Fair Philippines’ sixth year was its biggest one yet. 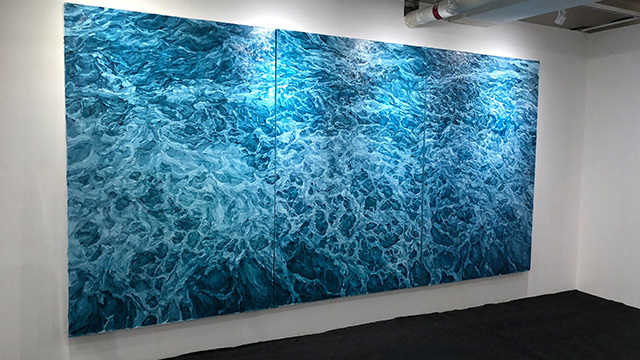 Blockbuster crowds flocked to Art Fair Philippines last year, leading organizers to allocate a bigger space to the country’s biggest art event this year. 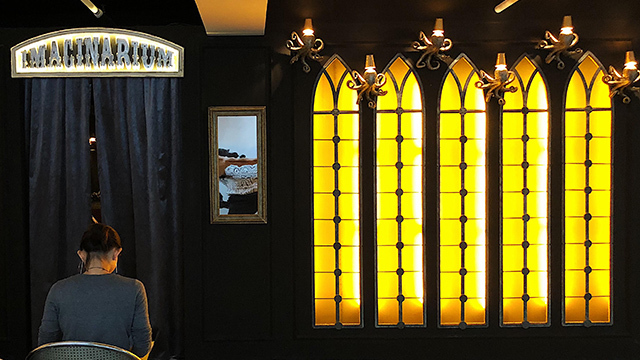 From five floors, the four-day fair occupied the entire seven stories of The Link Carpark in Makati City, accommodating the gallery spaces, reception areas, food and beverage booths, film screenings and talks. Organizers say they expect attendance to top the 40,000 who came last year. More artists were also showcased this year, with 51 participating galleries, 15 of which are from foreign countries. Indeed, many collectors have already acquired and reserved some of the most valuable pieces in the fair during the two-day private viewing prior to the public opening on March 1 to 4. 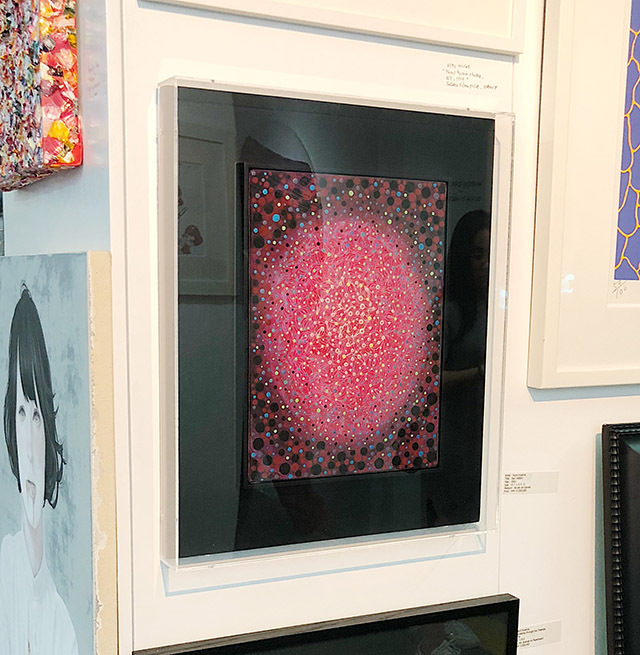 One of the most talked-about works was that of Japanese contemporary artist Yayoi Kusama, exhibited at Gallery Kogure Tokyo/NYC. Kusama is mostly known for her sculptures and installations but many of her works are also translated into prints, paintings and even fashion pieces. Orlina’s sculptures were priced from Php650,000 to Php3.4 million. 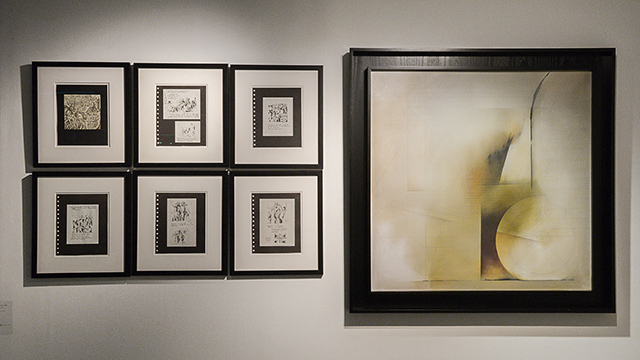 In the gallery Cayón, paintings by Spanish-Filipino businessman and artist Fernando Zobel were exclusively showcased. The set, which includes his oil painting El Triunfo del Cesar and its studies, was priced at 260,000 euros or around Php16 million. Daniel Dela Cruz’s experiential exhibit Imaginarium was also a stunner at the fair, with all of his pieces either marked sold or reserved. Inside the space were the artist’s collection of metal sculptures, including his piece House of Cards Redeemed, priced at Php2,576,000. 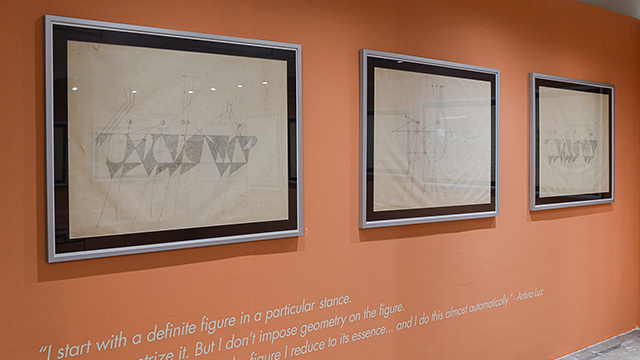 These drawings were priced between Php700,000 and Php750,000 each. Another booth also holds the National Artist’s pieces, including the aluminum piece entitled Black Forms on White Space priced at Php1.8 million. In the Viva Excon booth, works by fellow National Artist Benedicto Cabrera, better known as “BenCab,” were also exhibited. A BenCab piece called Heads, made with a limited edition cast, was priced at Php900,000 pesos. The frequently visited gallery in Antipolo City Pinto Art Museum also participated this year, exhibiting Antonio Catral Leano’s solo show Fossils. 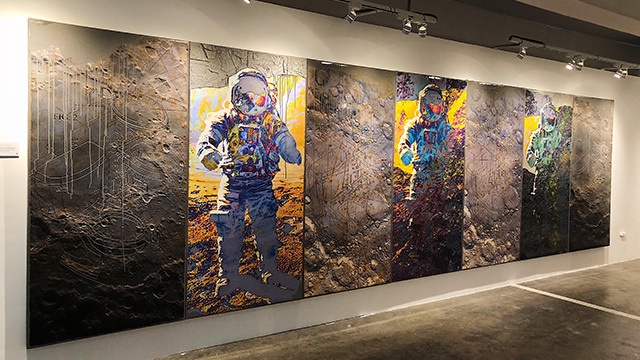 “That this exhibition coincides with the cherry red Tesla car now hurtling towards the orbit of Mars, brought to space by the Falcon Heavy which was a vision of Elon Musk, is nothing but serendipitous—just one of the many steps realizing man’s relentless pursuit of the great unknown,” author Carlomar Daonna said of Leano’s current works. One of the pieces in the one-man show was the polyptych composed of seven panels, We Are Just Fossil Memories, valued at Php2.8 million. 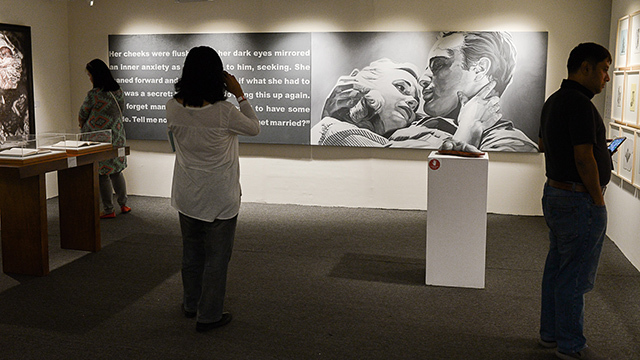 Another regular at the fair, Silverlens gallery once again exhibited Norberto Roldan’s work, including one entitled The Pretenders (Marlon Brando-Eva Marie Saint), which was priced at Php2 million. Oca Villamiel's "Birds of the Night"
At Finale Art File, Oca Villamiel’s unique piece made with feathers, Birds of the Night, was priced at Php1.64 million. 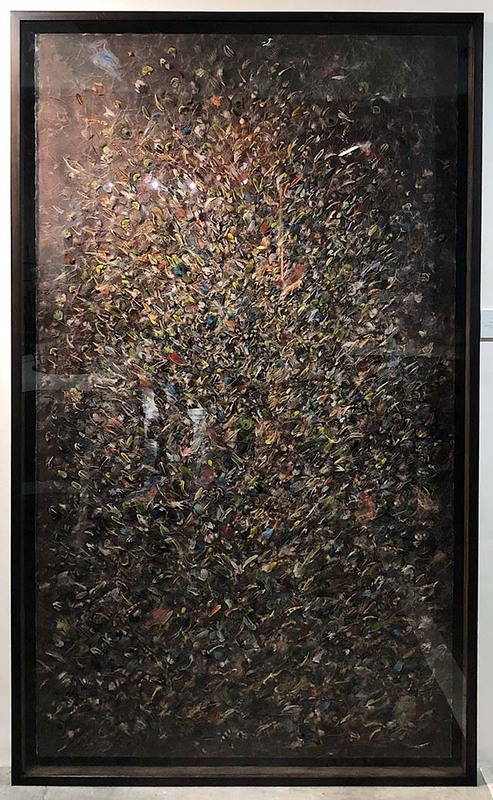 At Mo Space, Roberto Chabet’s series of China Collages was for sale at Php650,000 each, while over at Artinformal, Elaine Navas' gigantic piece Nothing Moves Itself Series was sold for Php2million. But amidst all the valuable pieces, one of the most visited booths in the fair was everydayimpunity at the photography section, where grim photos by Carlo Gabuco of the on-going war on drugs are displayed. In the dimly lit space, a battered couch rested on the center, with a lamp hanging over the head of the seater in which a 12-year old girl narrates how her father was killed before her eyes in the very same couch in the room. The show’s title, Ang Mga Walang Pangalan, was borrowed from Jose F. Lacaba’s poem of the same name, and a collaboration with composer Juan Miguel Sobrepeña, filmmaker Nemenzo Sacris, sound designer/engineer Mark Laccay and Erwin Romulo as curator.